A Saginaw [Mich.] Township officer has undergone surgery for bullet wounds received during a traffic stop, while the parolee accused of shooting him has been returned to prison. 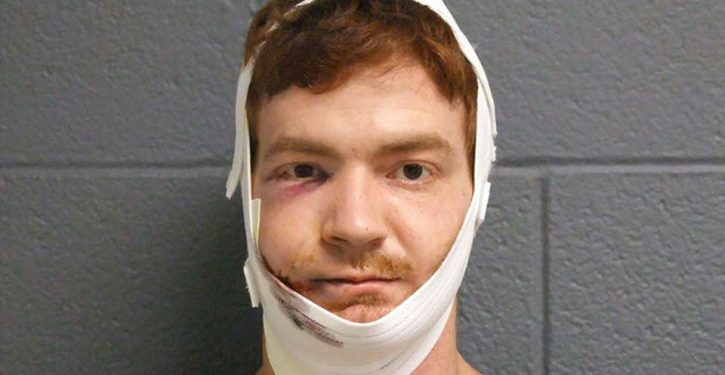 The suspect also is recovering from being shot in the face by an officer during his arrest. Rosebush was shot at least once when a Shiawassee County Sheriff’s detective took him into custody about 1 p.m. on Tuesday. … Gautz said he had heard Rosebush was shot in the face as well, and though he could not confirm it, Rosebush’s MDOC mug shot taken on Tuesday indicates as such.